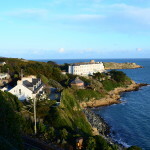 Dalkey is a lovely village and Irish Heritage Town south of Dublin. Killiney is a smaller village further to the South. 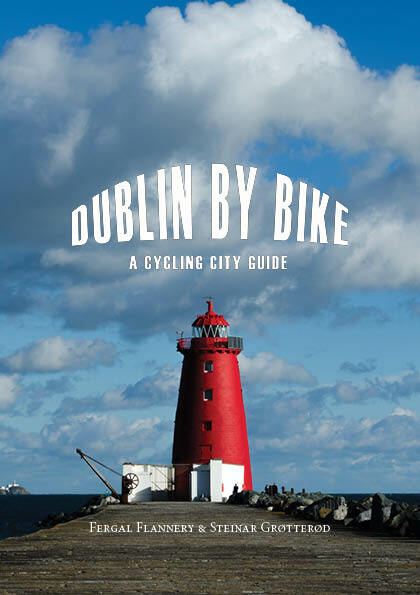 The DART will get you to Dalkey in about 25 minutes and you can bring your bikes with you, or take the long spin from Dublin following the coastline into Dalkey through Monkstown, Dun Laoghaire, and Sandycove. The south coast of Dublin Bay is a strikingly beautiful meander past sandy beaches, rocky coves, yacht filled harbours and affluent mansions, and is seeped in the maritime history of the city. This route takes you to great places, viewpoints and lovely small villages.